The collaborative product “Baby-G × LINE FRIENDS” of the official characters of “LINE FRIENDS” called “CHOCO” and CASIO’s “Baby-G” was released on the 14th of December (Thurs.). 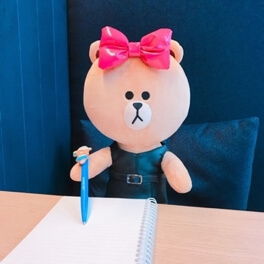 CHOCO who has a big ribbon on her head is a girl who likes fashion and SNS. CHOCO joined “LINE FRINDS” in 2016. This year, CHOCO appeared on the covers of popular fashion magazines as a model and reported about a party of foreign brands as an editor. Also, CHOCO has been participating in many offline events such as the collaborative party held by London’s popular cup cake brand “LOLA’s Cupcakes.” The number of friends of CHOCO’s official LINE account (@choco_official) has now exceeded 3 million. And now CHOCO has collaborated with “Baby-G,” a watch brand that has many fans in foreign countries and they have started selling a collaborative model from the 14th of December (Thurs.). Based on the basic series called “BGD-501” which is the combination of classical designs and fashion trends, the face of the board of the collaborative product has a camouflage-patterned design with a ribbon which is the charm point of CHOCO. Moreover, the product has an illustration of CHOCO on the digital part mounting the EL back-light and on its case. The fans of CHOCO must love this product! 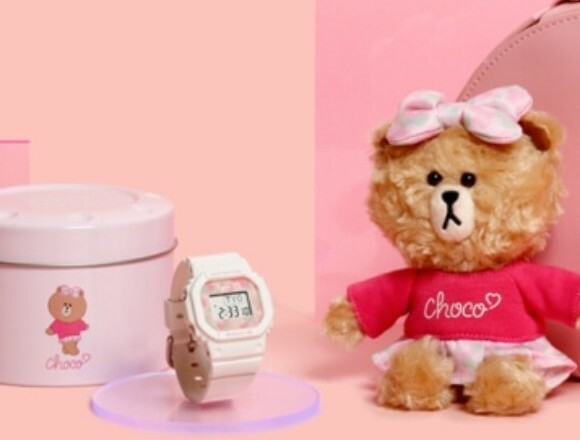 The number of products is 1,000 and the limited edition where CHOCO doll is wearing the same ribbon as the one printed on the watch, will be sold too. Let’s get this original Japan-limited product. Travel the world with this Hello Kitty-themed “BABY-G” watch!